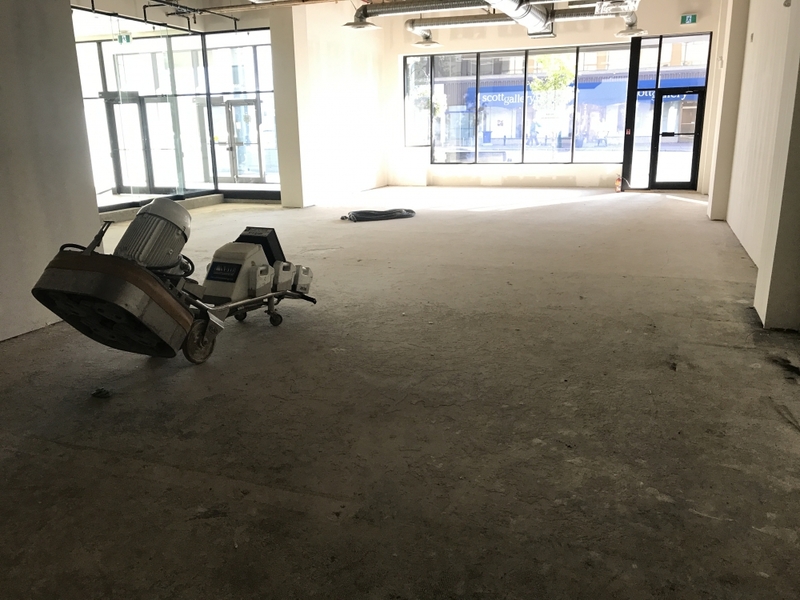 Our client is opening a design studio and wanted a natural floor to suite the décor. 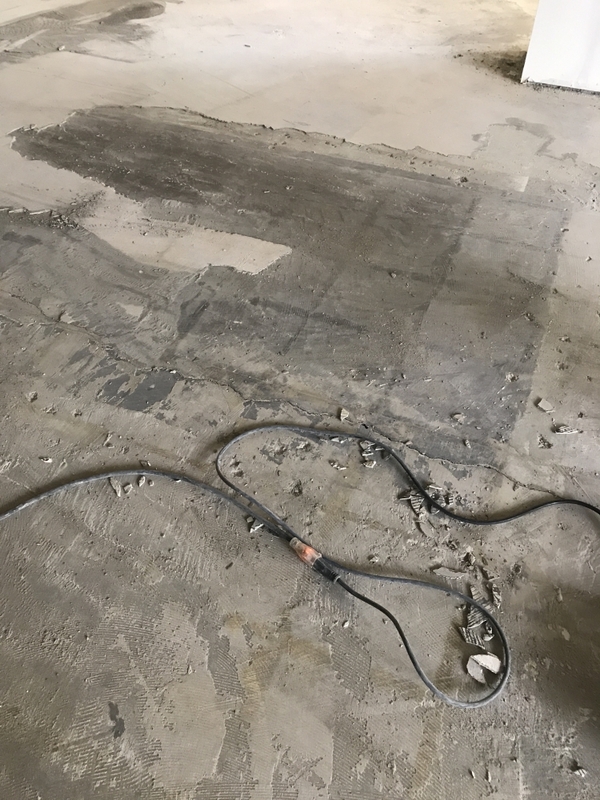 Many layers of thin set, mastic and glue covered the floor that were up to 30+ years old. 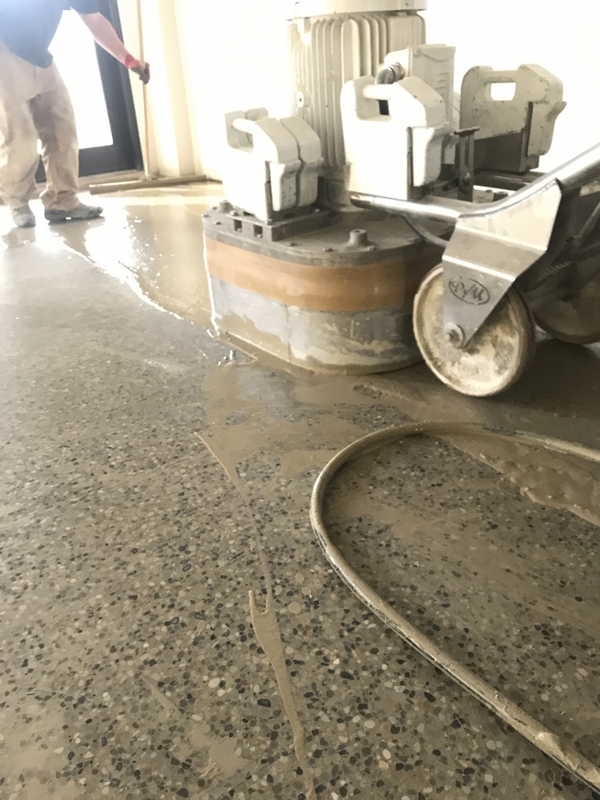 We removed all layers of old flooring with our 1500 lb surface prep grinder. 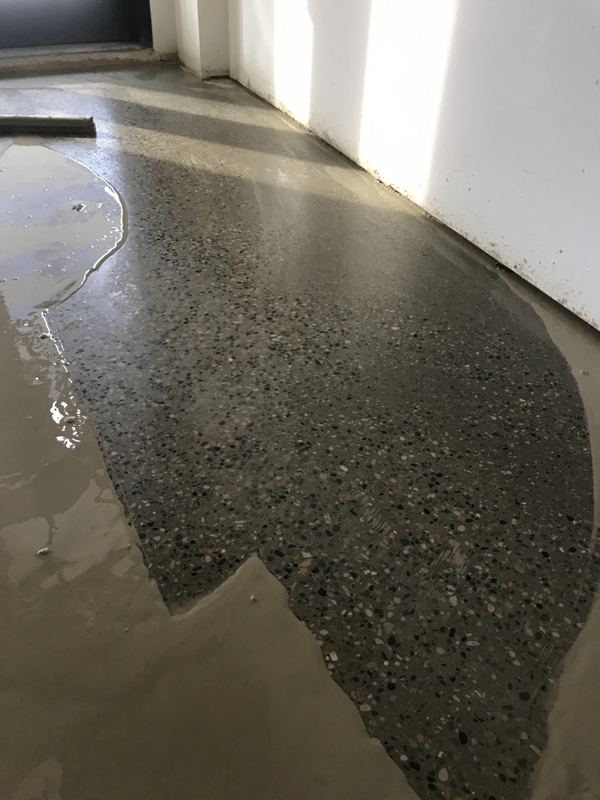 At this point we completed repairs and filled all defects in the floor. 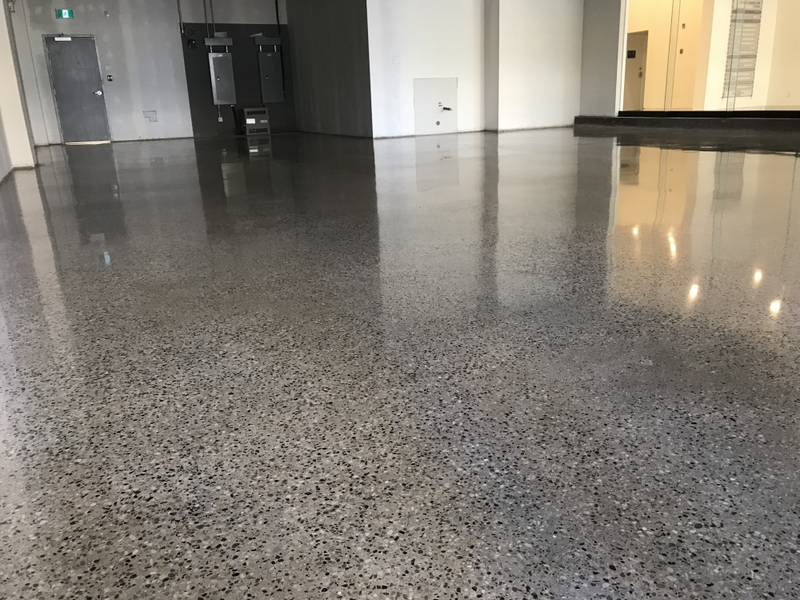 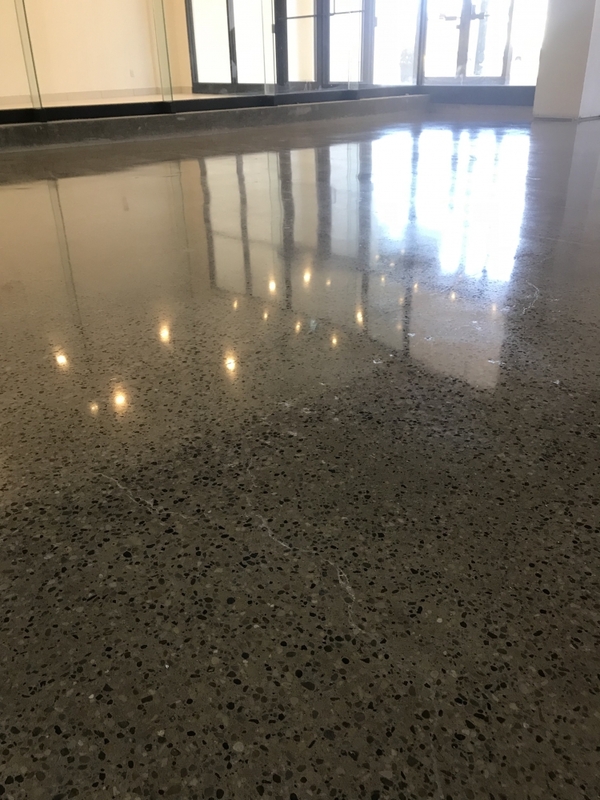 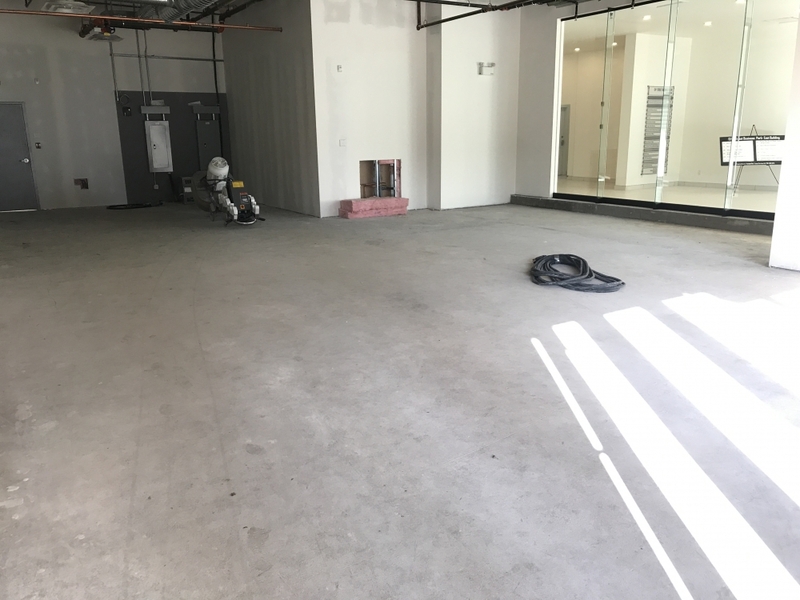 We then polished the concrete to full aggregate exposure creating a unique natural floor that became a design feature of the space.